This The Ring Costume Comes with a TV « Adafruit Industries – Makers, hackers, artists, designers and engineers! Even though I’ve refused to watch The Ring because I know it will be too scary for me, I know the premise of the film. That little bit of knowledge makes this costume by Redditor Jennyann26 that much more terrifying, so if you’ve seen the film, I can only imagine how you feel upon viewing this nightmare fuel. 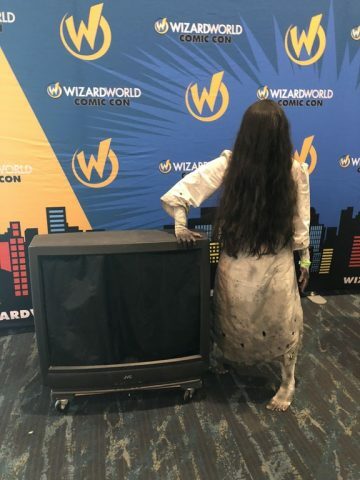 Jennyann26 sewed and painted the Samara costume. 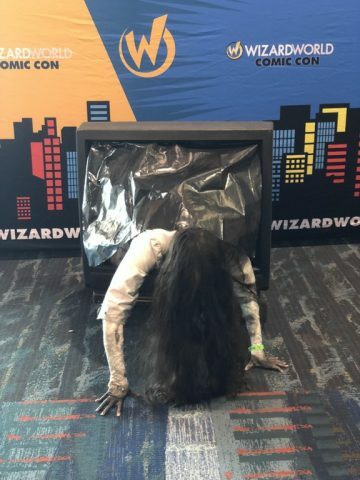 She makes the cosplay scarier by carrying around a TV prop she can crawl through. The screen is made from a trash bag-like material, so no one is safe.